Today we toured downtown Norfolk on their free electric bus. 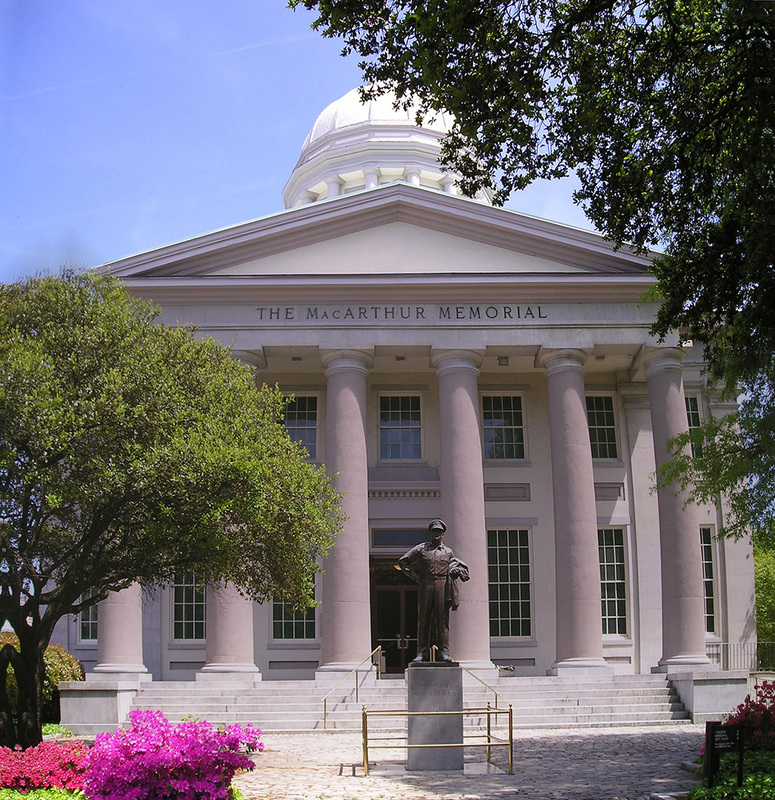 We stopped at the General Douglas MacArthur Memorial which is in the 1850's city hall. The gifts that the MacArthur's were given by Phillipines, Japan and Korea are on display. There is an interesting movie on his life. At 4:00 our friend Corin arrived from Nashville and we went out to dinner at Joe's Crab Shack at the marina. Corin will be with us until Alexandria. Tonight a sailboat came in from South Africa. They had been sailing for 6 months. 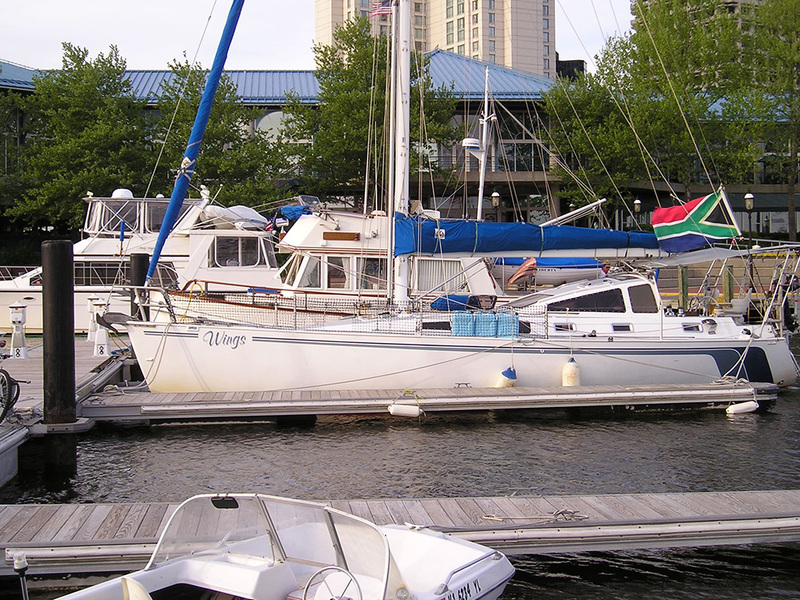 They plan to end their trip in Annapolis and sell the boat. That's a hard way to get money out of South Africa.